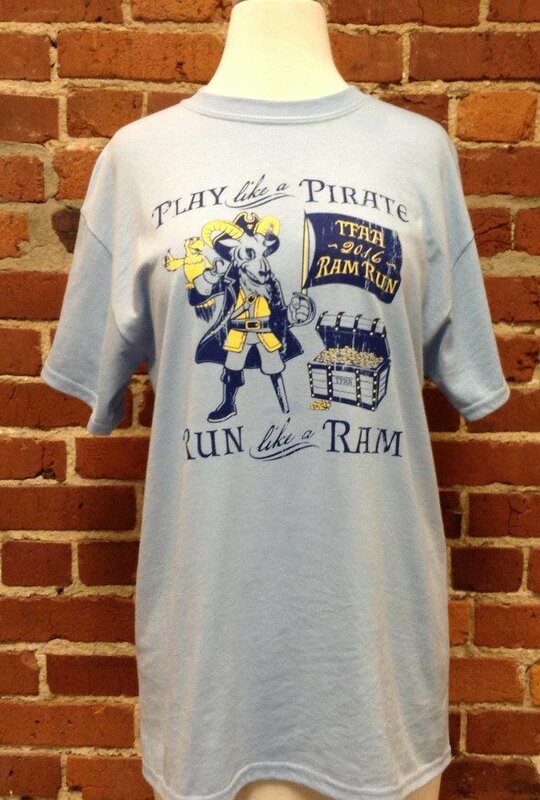 Short sleeve light blue t-shirt with blue and yellow pirate design printed with Play like a Pirate, Run like a Ram, TFAA 2016 Ram Run. 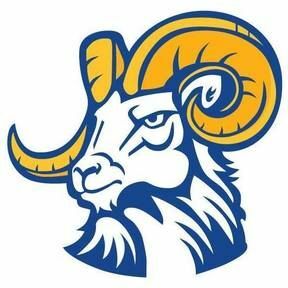 Back of t-shirt lists Ram Run 2016 business supporters. 50% / 50% cotton and polyester mix.